After a month of beta testing, the all new Firefox browser will be officially available for download later today, officially we say because if you can’t wait, you can already grab your copy from the Mozilla FTP server here (thanks to thenextweb.com for digging this one up). Version 19 comes with built in support for PDF document viewers, doing away with the need for the often troublesome PDF plugin from Adobe. Other updates include speed enhancements, bug fixes and better HTML5 support. 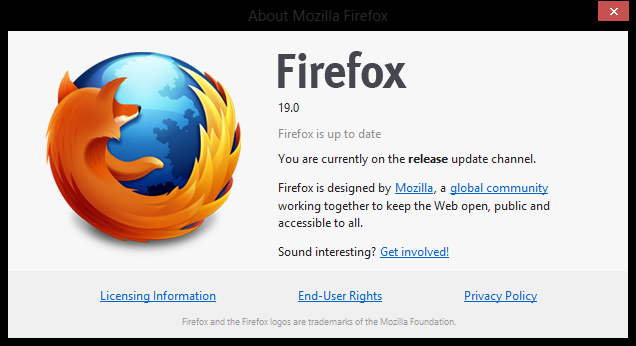 An Android version of Firefox 19 was also slated to be released today, so keep an eye out for that too.